Promo: Chess. The Musical. 4th – 7th July 2018. Nottingham Arts Theatre. – East Midlands Theatre. Promo: Chess. The Musical. 4th – 7th July 2018. Nottingham Arts Theatre. 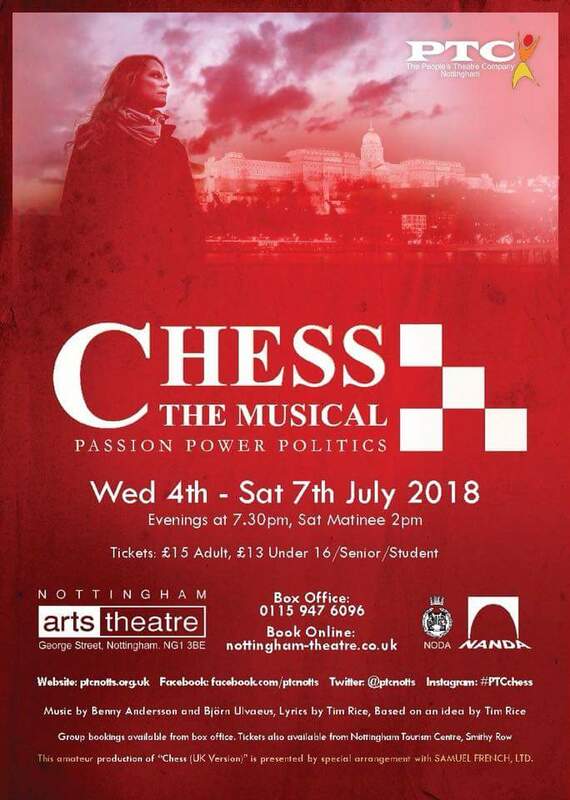 Your move… book those tickets… it’s going to be a very good show. Review: Walk Like A Man. (touring) Curve Leicester Studio. Nottingham Theatre Royal are looking for local stories connected with The Wipers Times.